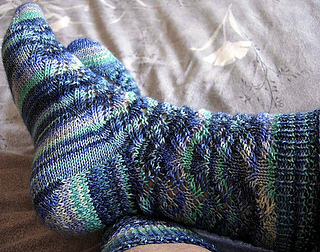 Feathery lace with hint of waves to help move things along on these toe up socks. Waves are the center of front and back of leg. 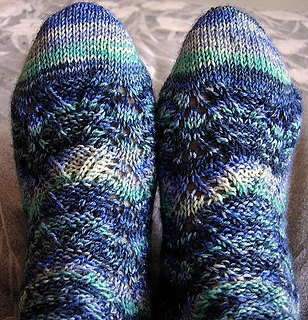 Increased gusset, with heel stitch heel.